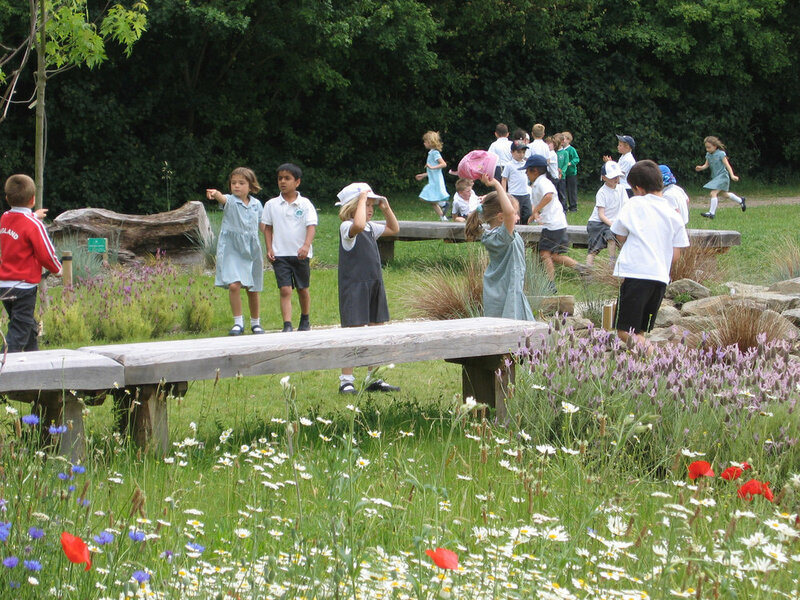 Proposals were developed for an outdoor classroom at the front of Old Basing Infant School. Each space contained a number of discovery habitats to encourage children to rummage, explore and study their natural environment. The outdoor classroom also provided an attractive low maintenance area for teachers and children to enjoy during break time. The geometric design provided scope for a variety of teaching spaces nestling within wildflower meadows.